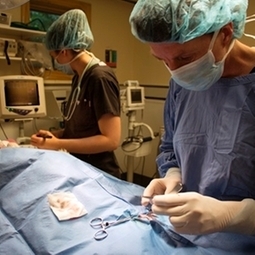 We do surgery on a daily basis in our hospitals to address a variety of pet needs. We monitor your pets closely before, during, and after surgery, and use our tools wisely to help make anesthesia as safe as possible. We work closely with Dr Becky Stanclift, a board certified surgeon, Upstate Veterinary Specialties, and others in the area if your pet requires their particular expertise. Dr. Stanclift performs surgeries in our facilities so you can have the comfort of a familiar environment and staff throughout the procedure.